Getty/Scott OlsonTarget is trying to become a destination this holiday season. Target announced on Tuesday that it was removing the order minimum for most items sold online during the holiday season. That means most items, regardless of price, will be given free two-day shipping with no membership or minimum purchase required. It’s one of the most ambitious moves a traditional nationwide retailer has made to compete with Amazon to capture holiday sales. Target is taking the gloves off to compete with Amazon this holiday. Starting November 1, it’s removing the order minimum for most items sold online, the company announced in a blog post on Tuesday. That means most items, regardless of price, will be given free two-day shipping with no membership or minimum purchase required. The perk, scheduled to extend through the holiday season, until December 22, was previously offered only to holders of Target’s store credit card, known as a REDcard. 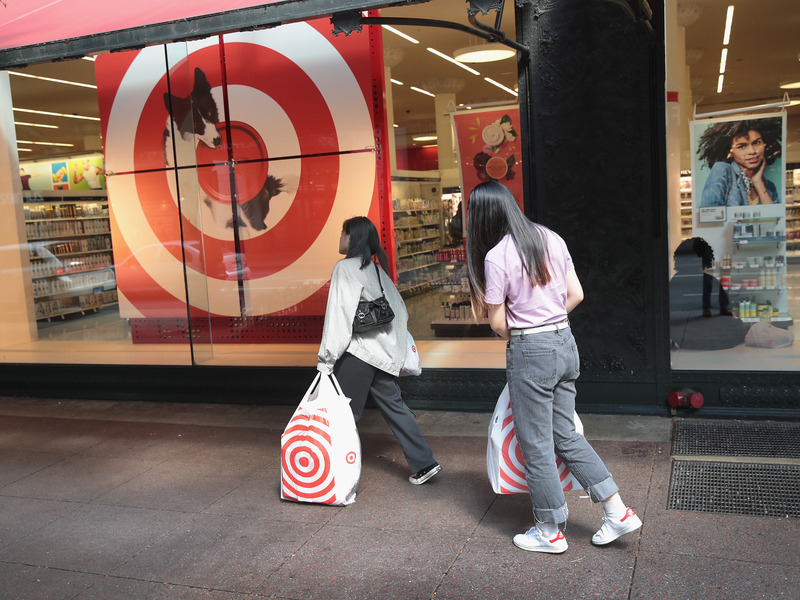 “We want to make the busy holiday season easier for our guests so they can spend more time with their family and friends,” Target CEO Brian Cornell said in a prepared statement. In March, Target started free two-day shipping on all orders of at least $US35. Last year, Target offered free standard-speed shipping on most items from November through December 23, meaning this year’s offering is a marked upgrade. The move is an ambitious one for a traditional nationwide retailer competing with Amazon this holiday season. Amazon offers only traditional-speed shipping for orders over $US25 without a membership. Customers who pay for Amazon Prime’s $US119-a-year or $US12.99-a-month memberships get unlimited free two-day shipping. Walmart, on the other hand, requires a purchase of at least $US35 for free two-day shipping. Online shopping is expected to capture more of holiday shopping again this year, and Amazon is again posed to capture more than half of that. Analysts are already forecasting a strong holiday season for retailers, with most overall sales growth estimates in the high single digits or low double digits. Most of this year’s growth is likely to come from online sales, as Forrester Research is predicting 14% sales growth online but only 1.7% growth in stores. Analysts estimated that Amazon took nearly half of all online retail sales in 2017 and that it would take even more this year. Forrester estimates that online holiday sales will account for more than 32% of all online sales for the year.